Elkagorasa the Casual: It's All About that Base. 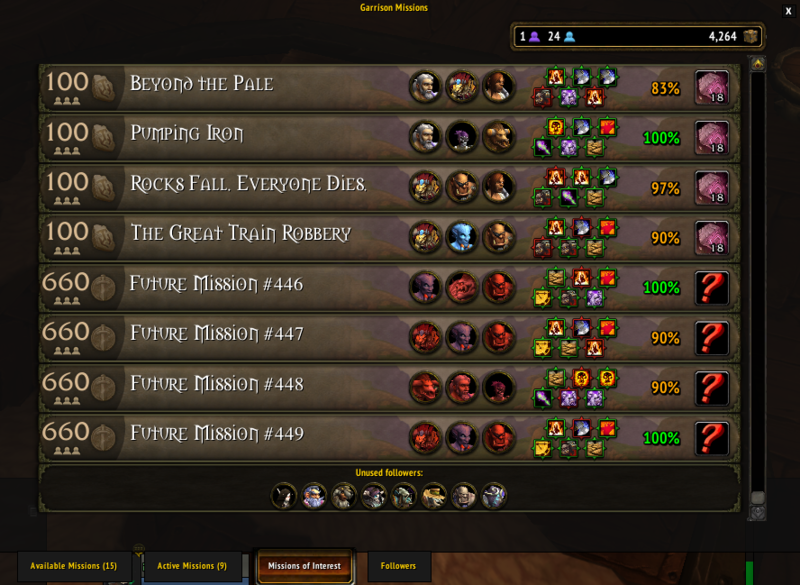 The integration of the garrison into the questing in Warlords has been a love/hate for many players. You either love that all of your current, plus a few other options are right there, or you hate that the sheer number of options. You either love having a place that you can 'call your own', or you hate that on your realm, it's laggy and (still) kicks you out regularly. Either way, if you're playing, your likely doing those garrison quests. 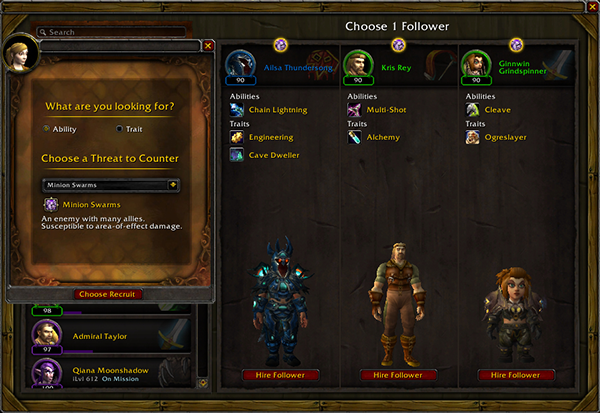 That means, hiring, leveling, assigning and even gearing up those followers for even better and better missions. This guide on WowHead really helped shed some light on various followers. Did you know that you can level your followers beyond level 100? I hadn't. I stopped running +XP missions except to level my lower level followers. There's a diminishing returns bringing too low of level follower on a mission. I thought I found an awesome way to level up those 93-95 followers by carrying them with a couple 100s running a 97-100 mission. Sadly, more than 3 level difference, they only get 10% of XP. They don't even get the +XP bonus that one of my follower's has. Bodyguards have usable perks. As you gain reputation with your bodyguards, they open up perks that you can take advantage of. For example, my only bodyguard at the moment, Vivianne at level 2 can cast Meteor. At level 3, she can create a portal back to my garrison. There a 6 followers in all (until 6.1) who can be bodyguards. I think I am going to hunt down Tormmok next time I am on. I really need to level up my tavern. I've got it sitting at level 1, simply for the dungeon missions, but the 'recruit a follower' option looks very promising. There are a few times (can't remember specifically) that I've wanted a follower that I put into a building to run a mission.. Then I'd never have to say "If I only had 2... "
Ever Commander needs a Master Plan. Not part of the guide, but I've started playing with the addon Master Plan as spotted by Ask Mr Robot. Master Plan breaks both your current missions and all possible missions and if your followers are prepared to complete them. When looking at your current missions, MP will suggest groups to maximize your chance of completing the mission. and as Zoopercat, the auto-complete mission function is awesome. No more click, click to open, next on all your addons.